From your patio and garden to your windows and balcony, there’s plenty of flowers and foliage to refresh your living spaces this spring. Overwhelmed with what to put in your cart at the nursery? Read on—we think you’ll dig it! If you’re starting from scratch, landscape elements like rocks and stones allow your plants to nestle and add to the design of your garden bed. Unsure if you want to plant flowers or vegetables? You don’t have to choose. 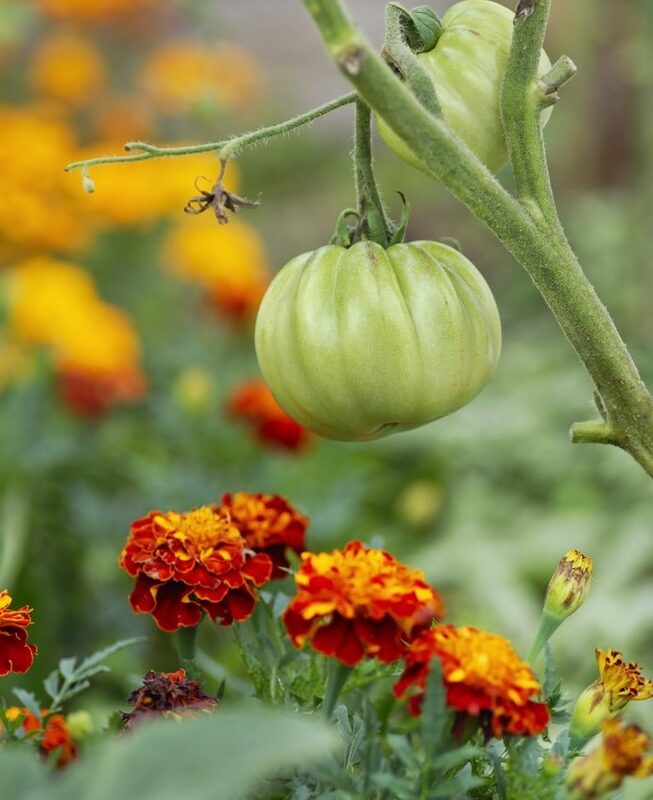 Plant tomatoes alongside marigolds. That way, you can harvest your veggies at the same time as your flowers for a fresh bouquet and some farm-to-table eats. For sweet-smelling flowers with heart shaped leaves, plant violets. They bloom in early spring in shades of pink, purple and white. If you’re looking for splashes of color to fill empty spaces, petunias of the multiflora variety are a nice touch. Their mounding habit will enliven your garden with alternating stripes of fuchsia and purple. 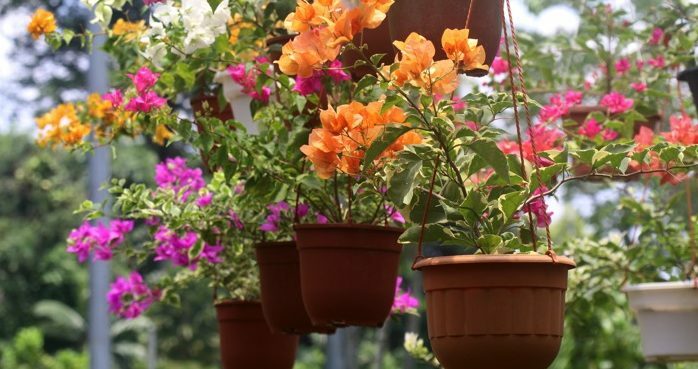 Spruce up your deck railing or fill your window boxes with Bougainvilleas this season. The dwarf variety offers a flush of orange and magenta blooms that are long-lasting with easily prunable vines. Don’t be afraid to mix it up and plant some herbs. How about some homegrown chamomile tea? Not only does the Roman Chamomile plant sprout bright, daisy-like flowers, but their foliage has a pleasant aroma. If you’re looking for a box of cooler colors, there’s a large variety of succulents and aloe vera that’ll create a display of funky shapes. These are water conservation friendly, and flowers often bloom at the ends of the stem. When choosing the right flowers and foliage for your container, keep in mind its relation to the flowers you want to plant. Hot colors may pair best with a bright ceramic. If you plant Bromeliads, the strong reds, greens, purples and yellows of their leaves will add an exotic burst of color and texture to your porch. To border your potted plants, Salvias are a nice touch alongside bolder foliage and larger flowers. Hanging baskets make for lovely additions as well. 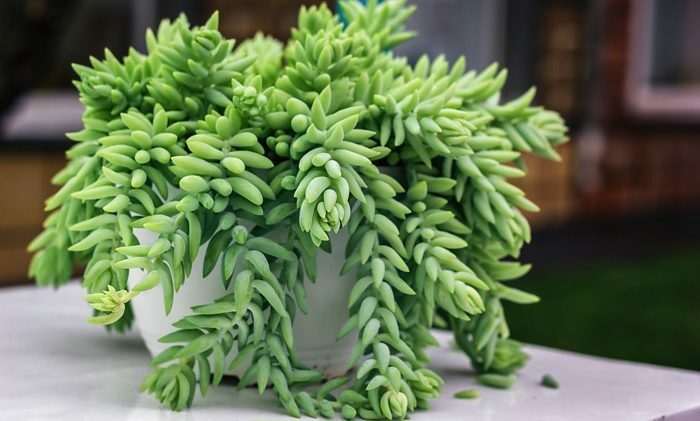 Fill them with Burro’s Tail, a fleshy succulent with thick stems, or Fuchsias, large beautiful flowers that overflow and drape down. 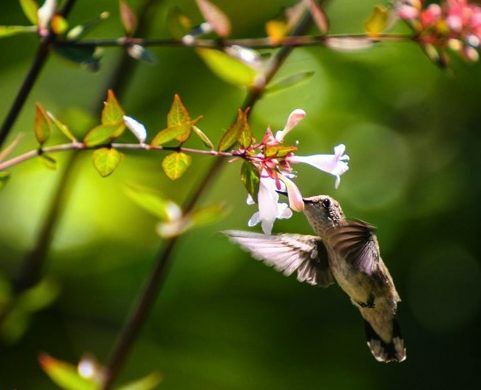 An added bonus is that they attract butterflies and hummingbirds. Remember that your contained plants need far more water than your garden beds. Don’t let them dehydrate! If you want to be a guru of horticulture, don’t wait until next year. Jump right in this season! Not only will you have an ongoing project but also a daily photo op to treasure. Whether you choose a succulent garden, vegetables and herbs, or simply floral, you won’t go wrong this Spring. Don’t let another year go by without growing the garden of your dreams. Bring your Pinterest board to life and get your gloves on!